This week, Meet Daleen Strydom – one of our Senior Portfolio Management Consultants here at HPS. Daleen is a senior Portfolio Management consultant at HPS, with 14 years experience in designing and implementing OPPM solutions. “I was a systems analyst when I did a course in what was then called ProSight in 2004 and loved the shift in focus from implementing granular, technical solutions to the big picture, business view of Investment Portfolio Management solutions”, she recalls. Daleen lived in South Africa at the time and after shadowing an international SME on a number of implementations in the financial and mining sectors, she was certified in OPPM. She joined HPS in 2009 when she moved to the UK and had subsequent implementations in Sweden, Finland, Norway, Alaska and the UK. As the principal OPPM consultant at HPS, her key responsibilities are to gather the client’s business requirements and translate these into a unique OPPM solution. “I love the fact that I’m involved in such a range of tasks on every project: starting with the initial requirements gathering and design, while building relationships with the client. And then being involved in the configuration of the solution ensuring what was promised to the client, is what will be delivered.” Given the flexibility of OPPM, requirements can often be implemented in a number of different ways. These options can be presented during the early stages of the implementation process to ensure the client is not surprised by the implemented solution. Daleen, mother of two teenagers, has spent the last 19 years moving around the globe and has lived in the UK, Italy, South-Africa, India and is now based in Switzerland where they hope to settle down. She loves doing yoga, traveling and eating good food. Her motto is: “If an opportunity presents itself and there are no compelling arguments to pass it by, you have to take it and see where it leads”. Hyde Park Solutions offer bespoke, and on-call, Primavera P6 Technical Support Packages designed to suit your company’s needs, and to scale as you grow. The ITIL certified HPS support desk currently services clients all over the world in the support, maintenance, and upkeep of their Oracle Primavera systems. HPS will often be able to resolve most Primavera user errors remotely, getting you back up and running immediately. For more serious issues an HPS support expert can be onsite within 24 hours to work in situ to resolve any serious operational errors. Application Service Management – Access to your own dedicated HPS support manager. Access to the HPS support environment and support ticketing application. Application Maintenance Service – Provision of ITIL process to support both technical and businesses related incidents. Ongoing Management until resolution is achieved. Application Development Service – the provision of resources to enable changes and ongoing development of your implementation, both from a technical perspective or from an application configuration and business process perspective. Acorn – Our introductory Primavera Support package. Acorn level support is charged at a “pay per call” basis, and is often suited for smaller corporations operating a small, or dedicated team of Portfolio or Project Managers. Acorn support also suits PPM consultancy firms looking to quickly access technical support at a cost-effective price. Oak Leaf – Our intermediate support offering, billed on a monthly basis. Our most popular support package. Users on our Oak Leaf Primavera Support Package are entitled to a defined number of support hours, per month – There is no additional pay-per-call cost associated. Oak leaf offers an agreed set of SLA’s and guaranteed resource availability to deliver both Maintenance and Development services. Oak Leaf Support Subscribers are able to quickly – and as a priority – have their technical and user specific issues resolved for a simple monthly-fee with no hidden charges. Oak Tree – Our Premium Primavera Support Offering – commonly used by companies with turnovers in excess of £500M annually. Oak Tree level HPS Primavera P6 Technical Support provides an unlimited support usage service. Often used by sizeable corporations when establishing new systems, before dropping down to Oak Leaf once the system and users are settled. Unlimited Expert Primavera Technical Support. No Strings attached. Support package prices are based on client requirements and usage. Please get in touch with us if you would like to discuss a potential support package with HPS. 5 Key Benefits of Effective Portfolio Management. First of all….What is Portfolio Management? Portfolio management is the art and science of making decisions about investment mix and policy, matching investments to objectives, asset allocation for individuals and institutions, and balancing risk against performance.Portfolio Management grants a trusted (and often senior) group of individuals with company-wide procedural oversight, with the intention of making the execution of corporate projects effective, timely, and to budget. The role of Portfolio Manager can be likened to that of an orchestral conductor – whilst the individual is responsible for bringing all the disparate elements of a piece of work together effectively, the final outcome is still reliant on effective contributions from all relevant parties. Effective Portfolio Management makes the latter infinitely more likely. Here at Hyde Park Solutions we know that data is vital. Without data outcomes cannot be measured, and if a project cannot be measured, it cannot be adjusted or course-corrected. Portfolio Management is all about having this important data to hand. This data delivers the vital procedural oversight Portfolio Management is meant to provide. It goes without saying we’re big believers in the effectiveness and the vital need for effective Portfolio Management in business conducting multiple projects at once (and the data supports this belief). Risk is mitigated by data. The more information you have at your disposal with regards to budget, complexities, and timeframes, with regards to projects being undertaken, the less likely you are to run into any issues regarding the above. All projects have risks – that will never change. Effective Portfolio Management, however, is a fantastic way to take stock of all the enterprises activates at any given moment, with a view to flagging any potential issues or situations likely to cause concern. Having all the necessary and required information in one place, and a ‘single source of truth,’ is an excellent risk counter-measure. Projects often spiral out of scope and budget when little or no accountably is placed upon achieving and maintaining procedural oversight. Effective Portfolio & Project Management (PPM), can improve project turnaround by up to 10%. PPM practices tend to encourage increased project governance, workflow, and standardisation – which in turn leads to increased efficiency when carrying out repeatable processes – which may often form a sizeable part of any portfolio – for example, a road builder will build many roads – this is a similar task that can be carried out faster once aligned and defined procedural processes are in place. Portfolio Management achieves this. 3. Optimal Resource Utilisation & Allocation. PPM mobilises your resources to invest their best and maximum efforts onto the most feasible ventures. Simply put, this means duplicate efforts are not wasted on activities with no monetary benefits to show for it. Effective PPM allows Project Professionals to identify flagging projects early on – minimising time & financial loss if the need to halt or stop the project is deemed necessary. Whilst the thought of halting, or even abandoning a large project may be daunting, it is one of the essential roles of the effective and decisive Portfolio Manager. These funds saved can then be re-invested into projects more likely to yield desirable outcomes. Portfolio Managers will often find themselves in discussion with senior staff with regards to project viabilities. No top-level, or capital intensive project gets off the floor without key stakeholder sign off. This group includes line-of-business managers, project managers, financial analysts and the executive teams. It is not only the actual value of what you are doing and what you accomplish, but the perception of value, that counts. And when Project Professionals are able to achieve the reality and perception of a well-oiled and functional PMO, lots of benefits accrue. You can greatly expand both external and internal morale and reduce the time it takes to produce executive and board-level reports. It’s a win win situation. Probably the most important aspect and goal of any Portfolio Management campaign, is to be able to ‘see the big picture.’ This is different to achieving procedural oversight. Seeing the big picture involves being able to gauge, as a whole, the corporate wellbeing of an organisation. Reports coming in late from the finance department? Maybe it’s worth senior staff dropping in to gauge morale. Noticed a gradual downshift in the speed and quality of procurement? Maybe it’s time to consider alternative strategies. Effective PPM is not only aligning and driving processes, but also for the monitoring of the more global, or net, situation any given company is in. This is valuable information. Having designed, built, and installed numerous Oracle Primavera Project & Portfolio Management systems for clients across the globe, we can personally attest to the vast and positive impact such systems have on the corporate and financial wellbeing of a company. The thought of multi-faceted or project-centric organisations operating without an effective Portfolio Management tool is risky at best, and financially damaging at worst. We strongly believe in the myriad of benefits to be reaped via the implementation of an effective portfolio management system. Primavera Prime – Everything you need to know. What is Primavera Prime? How much does Primavera Prime cost? What does Primavera Prime do? For the answers to all these questions, and more, read on. Oracle’s latest Project Management offering – software product Oracle Primavera Prime, is the new kid on the block, but does it have what it takes to dent, or even challenge the current, and well established, Project Management software game? Primavera Prime is a passionate re-imaging of some of the tech titan’s older stalwarts – but with a modern twist. Prime as a software product borrows a few flavours from some of their already established (and hugely successful) software products (Primavera P6 PPM and P6 EPPM to name a few), and rolls them into a fresh-new, cloud-only, 21st century-centric, Project Management solution, ready for consumption in the rapidly evolving, and technologically disrupted place the sector finds itself in today. Complete with fresh new menus and intuitive workflows, Prime looks good. Really good. But does this 21st century facelift stand up to the time-old riggers and strenuous requirements facing Project Management software today? How much does Primavera Prime cost? Primavera Prime does provide a general outline in terms of cost per user – although it should be noted that additional organisation specific requirements may change the pricing structure. Server allocation should also be considered. Oracle Prime Schedule – $199 with a 5 user minimum. Oracle Prime Portfolio – $299 with a 5 user minimum. Having listed these prices, we would still generally advise that anyone considering Oracle’s Primavera Prime as a potential solution for their Project & Portfolio Management needs should get in touch with an expert to discuss their particular requirements. Hyde Park Solutions would be delighted to receive any enquires with regards to the above. What does Primavera Prime do? Primavera Prime comes with an impressive degree of functionality out of the box. Whilst it does take a broader, and at times, less specific, approach to traditional Project & Portfolio Management, Primavera Prime still presents a comprehensive set of software tools for Project & Portfolio Management tasks, including; Schedule Management, Cost Management, Resource Management, and Risk Management. Not only does Prime offer access to a wider array of functionality than some of its more sector-specific software siblings, but it does so in a beautifully presented, and up-to-date interface, designed to allow Project Professionals to improve their working efficiency through streamlining their workflow. Complimenting the above is Primavera Prime’s well designed and simple mobile interface – making it easy for Project Managers and contractors to log in and access relevant data when necessary. Prime’s redesigned mobile interface places every Project Professionals key ally – Procedural oversight – at their fingertips. Primavera Prime is an attractive, catch-all Project & Portfolio Management tool that will meet, and exceed the expectations and requirements of the vast majority of Protect Professionals. The online-only nature of the product makes on-boarding new users simple and quick, and always all stakeholders to easily gain relevant insights when required. Combine this with Prime’s attractive pricing model (in a traditionally expensive market), and you’re onto a winner. We believe in Prime’s ability to carry the Project Management Software torch into the future. About Hyde Park Solutions (HPS). Hyde Park Solutions are the global leaders in Project Portfolio Management, with Project Management, Project Controls and Portfolio Management teams based in EMEA, USA and India. With over 10 years’ experience in the industry, Hyde Park Solutions has consolidated its Oracle Primavera product and industry knowledge, whilst simultaneously applying our expertise to solve our clients complex Enterprise Project Portfolio management questions. We’ve had a very busy few months here at HPS, with many exciting events unfolding – from a hugely successful Unifier rollout for a billion dollar aluminium corporation, to launching a new partnership with one of the UK’s most experienced Project Management Consultancy firms – Th3rdCurve. 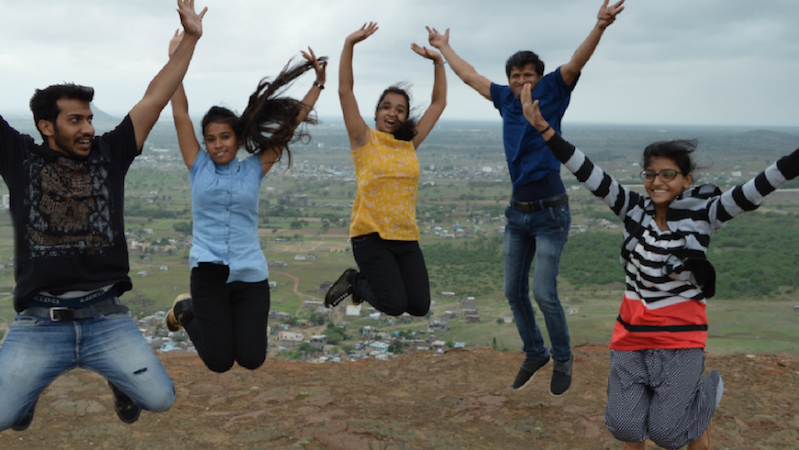 We’ve also expanded our support of one of the world’s foremost project management groups – The Association for Project Management, and doubled the size of our workforce operating out of our newly acquired Indian offices in Pune. HPS has successfully assisted one of the world’s largest producers of aluminium with the implementation of a global capital project management solution. 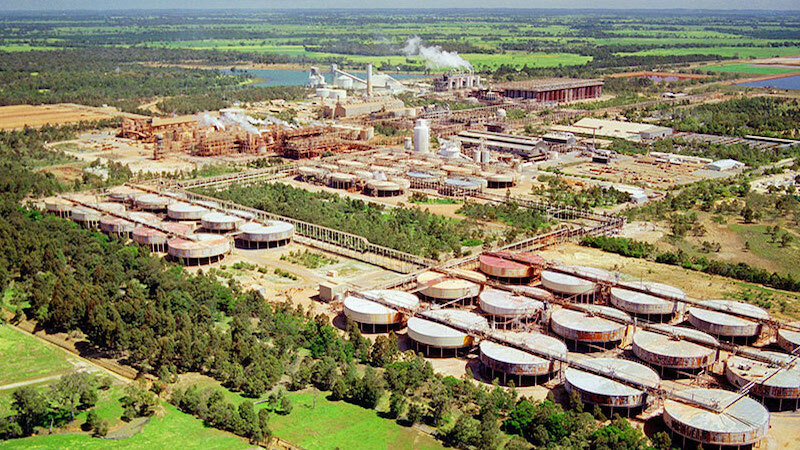 This HPS solution has allowed the client to standardise their capital allocation processes across several independent business units (Bauxite, Alumina, Aluminum) and geographic regions (Western Australia, North America, South America, and Europe). Unifier’s cost management solution will allow the client’s project teams to forecast projected spending in an efficient manner, making it easier for management to identify underperforming projects and reallocate funds to other opportunities. Unifier’s configurable workflow engine is used to automate hundreds of business process across the project lifecycle, including budget approvals, phase gate management, change management, and project closeout. These processes ensure that corporate governance rules are adhered to, and provide for consistent data capture, while allowing for the necessary procedural variances between business units. Hyde Park Solutions recognised as Crown Commercial Service Supplier. We’re delighted to announce our successful application to become an approved UK Government G-Cloud supplier for both the provision of Oracle Primavera Configuration, Implementation, and Training Services, and also Oracle Primavera Cloud Support. Being recognised to work with, and on behalf-of, the UK government, pays tribute to the wealth of expertise present across the Hyde Park Solutions team. Proud Headline Sponsors of Association for Project Management’s largest annual conference – the Project Management Conference, London, 2018. This year, we were the proud principal sponsors of the Association for Project Management’s largest annual conference – the Project Management Conference 2018. Together with the APM, we welcomed over 400 delegates into the wonderful Westminster Central Hall for a day of Project & Portfolio Management talks. As the only chartered membership body in the Project Management field, we’re delighted to be working with the APM to continue developing best practice in the Project & Portfolio Management field. Do you have what it takes to become part of one of the world’s leading Oracle Primavera houses? Our experts have designed, installed, and configured award winning Oracle Primavera solutions for some of the world’s largest companies across the globe. We’re currently looking for talented and enthusiastic individuals to join our Support and Consultancy teams. Visit our careers page here. Choosing the right project management methodology (PMM) for your team is the first step to success. This can be challenging with so many different — and in some cases, overlapping — approaches to managing the complexities of any given project. Project managers can assist their organisations in improving how they implement projects in the most effective and efficient way while reducing risks. But this requires much more than just recognising organisational priorities. You have to have a deeper understanding of how each project management methodology can create the greatest positive impact — and how each can derail your organisation’s likelihood of project success. Here, we outline the most popular project management methodologies (PMMs) in practice today, showing you how to evaluate which is best for your project and organisation. Once developed, a process for evaluating and choosing the right project management methodology can be documented and repeated, enabling your organisation to spend less time haggling over how to structure and manage your projects, and more time on achieving project objectives and deliverables. Waterfall: This has been a mainstay project management methodology for years. It is sequential in nature and is used across many industries, most commonly in software development. It comprises static phases (requirements analysis, design, testing, implementation, and maintenance) that are executed in a specific order. Waterfall allows for increased control throughout each phase but can be highly inflexible if a project’s scope changes after it is already under way. It offers a more formal planning stage that may increase the chances of capturing all project requirements up front, reducing the loss of any key information and requirements in the initial stages. Agile: Agile takes a significantly different approach to project management. It was initially developed for projects that require significant flexibility and speed. To achieve this, agile is composed of short delivery cycles, aka “sprints.” Agile may be best-suited for projects requiring less control and real-time communication within self-motivated team settings. As a project management methodology, agile is highly interactive, allowing for rapid adjustments throughout a project. It is commonly used in software development projects in large part because it makes it easier to identify issues quickly and to make modifications early in the development process, rather than having to wait until testing is complete. Agile offers repeatable processes, reduces risk, allows for immediate feedback, provides fast turnaround and reduces complexity. Hybrid: While many teams will favour either waterfall or agile, the benefits of both approaches can create a case for a hybrid project management methodology solution, one in which the planning and requirements phase is undertaken under a waterfall approach and the design, develop, implement, and evaluate phases follow the agile methodology. Critical path method: Critical path method (CPM) is a step-by-step methodology used for projects with interdependent activities. It contains a list of activities and uses a work-breakdown structure (WBS) and a timeline to complete, as well as dependencies, milestones, and deliverables. It outlines critical and noncritical activities by calculating the “longest” (on the critical path) and “shortest” (float) time to complete tasks to determine which activities are critical and which are not. Six Sigma: Six Sigma was originally developed by Motorola to eliminate waste and improve processes and profits. It is data-driven and has three key components: DMAIC (define, measure, analyse, improve and control), DMADV (define, measure, analyse, design and verify) and DFSS (Design for Six Sigma). DFSS can include the previous options, as well as others, such as IDOV (identify, design, optimise and verify). Six Sigma is sometimes debated as a methodology in the project management community. Scrum: Named after rugby, scrum is a part of the agile framework and is also interactive in nature. “Scrum sessions” or “30-day sprints” are used to determine prioritised tasks. A scrum master is used to facilitate instead of a project manager. Small teams may be assembled to focus on specific tasks independently and then meet with the scrum master to evaluate progress or results and reprioritise backlogged tasks. Hyde Park Solutions are proud to announce the implementation of a significantly updated and restructured business management system, as part of our drive to achieve ISO9001:2015 status within the next eighteen months. The International Organisation for Standardisation (ISO) 9001:2015 is one element of the larger ISO 9000 family of quality management standards. ISO 9001:2015, however, is the only current standard for which companies can receive certification. In order to receive ISO certification, companies must meet specific requirements for quality management systems. This iteration of the ISO 9001 puts a stronger emphasis on involvement of the leadership team and better addresses issues including organisational risk and end-to-end supply chain management. Effective teams create effective outcomes, but a recent publication from Planview found that many project managers report problems with work collaboration resulting in negative business impacts. More professionals have found themselves in project management positions, sometimes when they don’t plan on it. Despite not having the formal title, training, or credentials of a project manager, chances are you may still be expected to manage projects. According to the report, two-thirds of professionals noted that they manage projects as part of their official responsibilities—even though they don’t carry the project manager title. Additionally, some 20% of respondents defined themselves as “accidental” project managers. These are people who find themselves managing projects on top of their daily responsibilities. These increased responsibilities could also be due to the growing need to create revenue producing products, services, and customer experiences. According to the report, Project Management Offices (PMOs) govern 72% of respondents’ projects. The report noted that this governance could create another issue for project managers whose teams are struggling with collaboration and may not understand the role of a PMO. On top of this, the report found five other things that respondents believe are essential to project management success: Project planning (69%), a dashboard to track multiple projects (66%), document sharing (63%), ability to include external collaborators in projects (59%), and visual task management (56%). In order to become an industry leader, in any field, you must be willing to sink additional hours into studying and honing your craft. Keeping abreast of best practice, analysing related materials, and following industry specific blogs are all part of the continual learning experts undertake in order to stay at the forefront of their trade. This is especially applicable in Project Management. Waterfall, PRINCE2, Cybernetic control. All terms found within Project Management…but you’d be forgiven for thinking they formed the script components for an up and coming Terminator reboot. It’s safe to say the role of Project Manager is not a simple one. Therefore, in the already challenging field that is Project Management, it’s vital to take advantage of any and all viable educational opportunities that one may come across. One such opportunity, and arguably one of the best sources of discovering new knowledge, is through the attending of professional conferences. Industry specific conferences allow attendees to listen to, and absorb, the knowledge and wisdom of key and very experienced headline speakers. More importantly, it gives delegates the opportunity to network with, and learn from their own peer group. Having the opportunity to speak to fifty different members of your field at a typical conference, all with their own observations, skillsets, and teachable insights, in a single afternoon, is an incredible resource, and something that would usually take months, if not years to achieve in normal working life. This synergistic transfer of information and insight is hugely valuable to the development of professionals in any particular field who seek to be the best. There is a reason the cream of the crop of any given industry regularly attend conferences in their niche – because they know it puts them a step ahead of their peers. With that being said, we’ve painstakingly compiled a list of the must-attend Project & Portfolio Management conferences of 2018 (many of which we’ll be at!). Take a look at the list to see which you’d be able to attend. Many of the events will have been and gone by now – so make sure you note them down for next year. The Royal Institution of Chartered Surveyors (RICS) accredits professionals worldwide in the land, property and construction field. This yearly event gathers project managers and leader from both large- and small-scale construction projects to discuss trends impacting the industry. The Association of Change Management Professions (ACMP) hold an annual conference that brings about participates worldwide to share the latest business solutions, explore innovative best practices and trends and, of course, offer networking opportunities. The Scrum Alliance produces this event, which this year is centered around such themes as the Champions of Agile, the Community of Agile, Non-Software Scrum, Organizational Transformation, Playing in the Scrum Sandbox, in collaboration with IEEE Software, a survey of the Past, Present and Future of Scrum. Scrum4Hardware, Scrum in Government and Regulated Industries and the Scrum Team. One of a series of nationwide conferences for project managers and business analysts. These conferences are accredited by both PMI and IIBA and participants can earn participants up to 19 PDUs/CDUs. The conferences focus on learning from industry experts and innovators, increasing your productivity and effectiveness, acquiring new skills, strategies and best practices, while offer a chance to network with your peers. This year’s conference is entitled Future Proof, which aims to inspire the profession of today for the challenges of tomorrow. The conference is broken up into three core areas of interest: Mega Trends, Future Proofing: People and Future Proofing: Projects. The object of the conference is for project managers to “future proof” their approach for success. Nothing was cited on the site about the 2018 conference, but this must-attend event for the Agile community speaks to new Agile tools and techniques, patterns and practices emerging in the field. Participants learn how to support and evolve their Agile engineering practices as they relate to advances discussed. The three-day conference explores topics such as DevOps approaches, UX design and cloud computing. Agile & Beyond is a grassroots and volunteer-run event that serves to educate on Agile principles and practices. It also covers topics related to Agile. There are approximately 100 sessions packed into the two-day conference, suitable for those new to Agile and also the Agile experts. The PMO Conference focuses on portfolio, program and project offices. A one-day event offers a full program of expert speakers as well as a conference hall with PMO products and services being exhibited. PMO research, new ideas and techniques and networking are all available. The second in a series of conferences for project managers and business analysts, this one in Canada, is accredited by both PMI and IIBA. Participants can earn up to 26 PDUs/CDUs. The conferences focus on learning from industry experts and innovators, increasing your productivity and effectiveness, acquiring new skills, strategies and best practices, while offer a chance to network with your peers. Located at Boston University, this the 12th annual conference caters to newcomers and certified practitioners alike. Topics range the gamut, from Agile to strategic project management, including soft skills and behavioral competency. The two-day conference is also available online, and PDUs are available for attending. The final session for the year in a series of conferences for project managers and business analysts, this one in Canada, is accredited by both PMI and IIBA. Participants can earn up to 19 PDUs/CDUs. The conferences focus on learning from industry experts and innovators, increasing your productivity and effectiveness, acquiring new skills, strategies and best practices, while offer a chance to network with your peers. An international forum for the discussion and debate of all project management and engineering companies and professionals. The conference is geared towards experts, researchers and trainers who are focused on educating future professionals in the field. However, all interested persons are encouraged to attend. Located at the Guest House at Elvis’ Graceland in Memphis, the Digital PM Summit is a two-day conference of presentations, breakout sessions and talks. It welcomes all methodologies and approaches, from Agile to waterfall and hybrid, offering new perspectives in a social networking-friendly environment. There is also an optional half-day workshop on Sept. 4, which requires a separate ticket. This PMO conference is created by Wellingtone, a PPM consultancy that works with clients across the UK. The organization is both a Microsoft Gold Partner with PPM Specialization and an APM accredited training provider. It’s one-day conference is for practitioners at all levels, and brings together leading experts from across the industry. This PMI-hosted event, focuses on the evolving role of project management, this conference is open to project, program and portfolio professionals and will discuss new ideas and approaches, while giving participants the opportunity to make new relationships and strengthen existing ones. 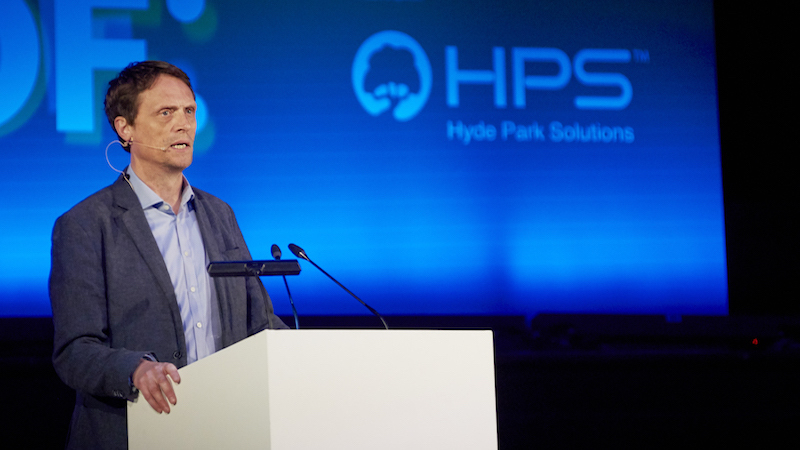 Hyde Park Solutions are changing the way people see SaaS providers. Our team of experts would be delighted to discuss any Oracle Primavera requirements you may have. Simply contact us here. Installing Primavera P6 doesn’t have to be complicated. In this short installation guide we’ve compiled Oracle’s guidance on the steps required to get your copy of Oracle Primavera P6 installed and ready to use. – Job Services – Jobs cannot be scheduled. However, the user can use the Windows scheduler to invoke the command-line interface to import, export, and run batch reports. – Any existing Java-based integration components developed by the customer using the P6 Remote Integration API (RMI) is not supported with a SQLite database. A standalone installation is often used by a single user – the admin superuser, therefore, any features intended to be used as part of a network will not be accessible. – You must have full administrative rights to the computer on which you are installing P6 Professional. – Download and extract (unzip) the software to a folder on the local hard drive, such as C:\T emp. – Avoid downloading the software to a location too deep within the Windows folder structure. It can limit the file name to 256 characters. – Even though you are running P6 Professional as a standalone, a network interface card or modem must be installed and TCP/IP networking software must be running on the computer. – Ensure anti-virus software, anti-spyware software, security software and/or any firewalls are not enabled as they may block programs, protocols, or ports necessary for database creation. – Ensure the UAC (User Account Control) is not enabled as it may block the installation and creation of the database. The installation itself can be done in as little as an hour. Enlisting the assistance of your IT department or experienced end user during installation will allow you to mitigate any possible issues you encounter. The standalone installation will install the database server, database, and desktop client onto your computer. Typical: Installs version of P6 Professional appropriate for your operating system. (32 vs 64-bit OS). Note, Java Runtime Environment is not installed with this option. Advanced: Allows you to control installation of specific P6 components. Allows you to install 32-bit version onto 64-bit operating system. Allows you to install both 32-bit and 64-bit versions of P6 Professional onto a 64-bit operating system. Download and extract the media zip file locally to your system. In the extracted media zip file, in the Client_Applications folder, double-clicking setup.exe will launch the installation wizard. When P6 Professional is installed, the Next Steps window appears. Click OK to automatically run Database Configuration immediately after installation. On the Select Driver Type dialog box, in the P6 Professional driver type field, select P6 Pro Standalone (SQLite). Select Add a new standalone database and connection. In the Enter new password field and the Confirm new password field, enter a password for the admin user. Select Load sample data if you want to install sample projects. When the Connection Successful message displays, click Finish to exit Database Configuration. After installing P6 Professional, you must set the industry type for the software. The industry type determines the terminology and default calculation settings that display in P6 Professional. Log in to P6 Professional. Select the option that most closely aligns with your industry. For any issues regarding the installation of any Oracle Primavera product, our team of experts are on hand to provide easy to follow guidance and support – simply contact us. Hyde Park Solutions are changing the way people see the SaaS market. Follow our newsletter here.